Textbooks are the books that accompany a specific class or subject at the school or university level, and suggest a curriculum--that is, a course of learning--for that particular subject. Textbooks have traditionally been in print form; however, like all publishing, much of the textbook market is seeing a shift towards digital books and digital ancillary teaching tools. The textbook market differentiates between school textbooks (meant for elementary schools or high schools), and higher education textbooks (meant for colleges or other post-secondary schools). In most cases, the choice of elementary school subject textbooks and high school subject textbooks are agreed upon and purchased in bulk by an entire school or school system for use and re-use in the classroom, where they remain after purchase. Higher Education textbooks are most often chosen — or "adopted" —for a particular course by the professor or instructor for the course. The school's bookstore then makes the textbook available for individual purchase (and, therefore, ownership) by the students taking the course. After the applicable class is over, some students choose to sell their books to a reseller who specialized in used college textbooks. In addition to print books or ebooks, textbook publishers produce ancillary materials to aid in the teaching and learning processes. These ancillaries might include teacher's manuals, presentation slides to aid instructors, student workbooks and online study guides, and the like. Depending on the nature of the ancillaries, they may be sold separately or made available with a textbook purchase. Ancillaries are hugely important to textbook sales. The school textbook committees or academic professors in charge of textbook adoptions for a particular course will give much consideration to the quality of the ancillary materials when making a determination of what textbook to use. In higher education, especially, there is a robust used book market. Textbooks are expensive, and students have many "required" courses where the textbooks have no particular interest to them or perceived useful value once the course is complete. The student can sell the textbook to students taking the same course in a later semester, or back to used book dealers who resell at a profit to other students. When a used book is sold, the original publisher sees no profit; therefore, the used book market has traditionally greatly impacted the higher education publishing marketplace, though theoretically, that has lessened due to digital textbooks and digital ancillaries not lending themselves to being resold. 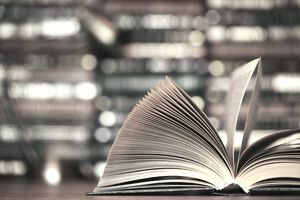 Higher ed publishers have tactics to counteract the impact of the used book market — such as frequently doing cursory updates to textbooks, but changing the cover and labeling the book as a different edition. This creates the sense that the student would be missing out on something if he or she were to have the wrong edition.